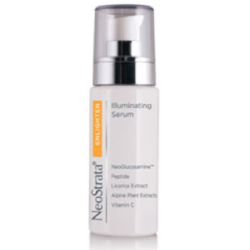 Enlighten Trio was created by Neostrata to brighten, illuminate and help control pigment. 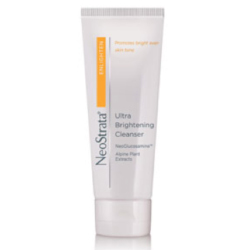 The first step in NeoStrata’s daily Enlighten regimen helps prepare skin for maximum treatment benefits. This creamy, foaming, wash-off cleanser contains patented NeoGlucosamine™, a non-acid amino sugar, to gently exfoliate dark spots and surface cells that can cause skin to appear mottled and dull. The unique blend of Alpine plant extracts reduces tyrosinase and melanin production. Soap-free, Paraben-free, Fragrance-free (light botanical scent). Allergy-tested. An advanced formula that contains 12 active brighteners that target 6 pigment control systems to help break up and reduce the appearance of existing pigmentation and discourage new dark spots from forming. This powerful serum is designed to illuminate and brighten skin that is affected by hyperpigmentation caused by ageing, hormonal fluctuations and UV exposure. 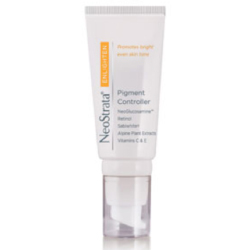 This unique product contains clinically proven technologies for the control of pigmentation and protection against the emergence of new spots. he synergistic combination of highly effective and beneficial substances causes increased cell renewal and the reduction of hyperpigmentation. Extracts from the Alpine plants and SabiWhite® help lighten existing pigmentation and prevent new stains. Vitamin E protects the skin from further damage.